11th June 2010. ExplorOz launches new email services for updating Places by mobile phone. Get Discounted tickets. Great Rigs & Vehicle Setups. Dometic "Follow the Sun" tour this weekend at the Queensland Caravan, Camping and Touring Holiday Show. 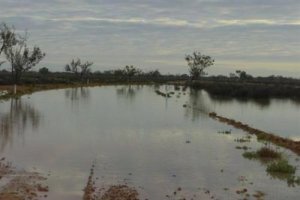 What a wonderful time the outback is experiencing this week, with the flood waters of the Cooper Creek cutting the Birdsville Track for the first time in 20 years, and the usually high & dry ferry, the MV Tom Brennan once again taking vehicles over the flooded section. ExplorOz published the very first pictures of this miraculous event (thanks to technology and our Members who are always out there where the real action is taking place). Wildlife is already teaming in the area with many waterbirds appearing as if out of nowhere and Lake Eyre is expected to see waters too. This is a must-go travel season, don't miss it! Travellers now have the convenience of keeping everyone informed of their trip highlights without even opening a web browser. Forget the computer - simply use a GPS enabled phone (such as iphone, Blackberry etc) and send your photos and text to our new email service. Without any more intervention from you, your photo will appear in Places at the exact position you took it along with any information you provide as text. This is a fully automated service so to make it work for you, check the technical guidelines first. Read the latest ExplorOz Site Tips blog here. Whilst ExplorOz focuses on providing trip planning resources for self-sufficient camping and caravanning to remote and far away places, did you know we also provide many services to help you enjoy spare time at home? Through the Activities tab on the site menu, you have access to hundreds of activity suppliers across Australia all offering discounts for online bookings. 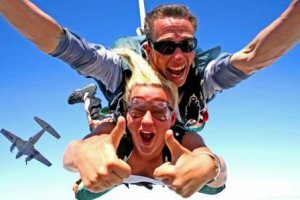 Be inspired from the array of wonderful events on offer from V8 racing, hot air ballooning, horse riding, scuba diving, fishing, day spa packages, or wine and dine cruises all at discounted prices. Most are events and activities that can be enjoyed in towns and cities so are perfect to fill the void in between your outback trips. Recently, the ExplorOz Team noticed a number of posts in the Forum featuring people's photos and stories of great vehicle setups. Threads78997 and 78978 highlighted the need for a special place to showcase these great rigs. As a result, a new Blog Tag called “Great Rigs & Vehicle Setups” has been added to the list of available tags. So now, anyone who wants to show off their custom/modified touring rig can do just that. Simply create a Blog with photos and telling us all about your pride and joy then set the tag "Great Rigs & Vehicle Setups", which will index your blog and enable others to easily find it. New blogs are promoted on the ExplorOz Home Page, and at the top of the Forum Index page. Blogs also allow discussion between Members. Dometic "Follow the Sun Tour" kicks off with a bang! Join the Farewell Party at the Queensland Caravan, Camping & Touring Holiday Show (stand 2500) this weekend 13th June at 2pm! Meet Brooke Hanson, celebrity bush cook ‘Tommo’, ‘The Caravan Man’ and the three Dometic Follow the Sun Ambassador couples. You could also win a Dometic 3-Way gas fridge/freezer, valued at $1275. 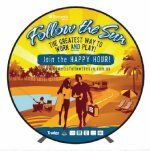 You are also invited to come to the Follow the Sun tour's "Happy Hour" at Brisbane Holiday Village in Eight Mile Plains on Queens Birthday, Monday 14th June at 4pm. Loads of celebrities, giveaways, and food!